If there is one thing to describe Ecuador, it would be diversity. Its racial, ethnic and regional identities are so diverse partly due to its colonial past. Ecuador was once overruled by the Inca Empire of Peru during the 15th century before the Spanish conquistadors took over its spot. It was in the early 19th century when Ecuador gained independence from the Spaniards. 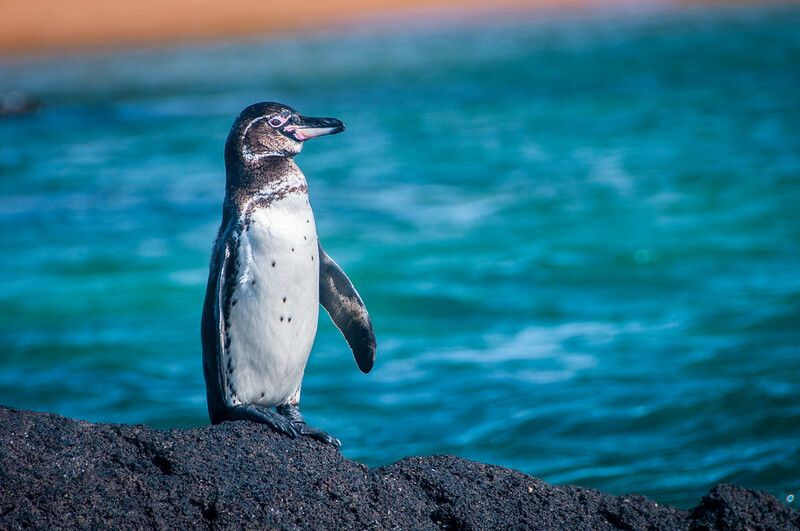 Travel to Ecuador to see the wildlife species and rich diversity up close. Today, Ecuador has evolved from being a farming country to a growing industry since the oil discovery. This had a consequent effect on the health, housing and educational industry. Due to a problem on inflation, the Ecuadorian government had to replace their currency to that of the US dollar to avoid its fluctuating effect on the economy. Ecuador is the biggest exporter of cocoa, shrimp and coffee. 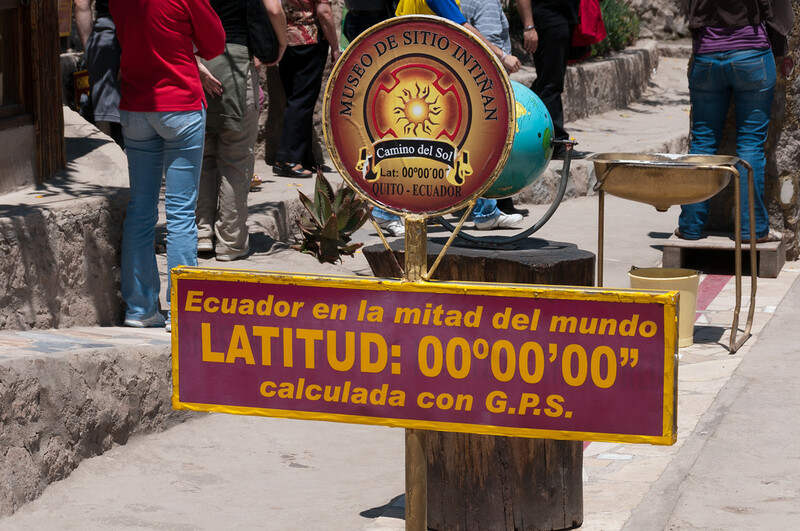 Despite being a small country, there are several geographic zones within Ecuador. Ecuador’s landscape includes the Andean peaks, and a vast rain forest spanning over 1,000 kilometers in land area. 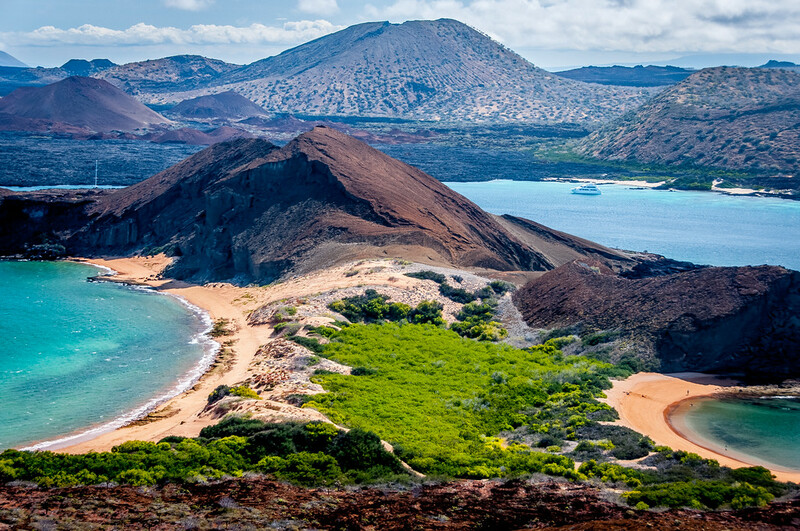 The volcanic origin island of Galapagos is also a territory of Ecuador. Official Language: Spanish is the official language in Ecuador. Wi-Fi Availability: The internet accessibility in Ecuador has greatly improved from several years ago but it still has a long way to go. Airport/s: Simon Bolivar International Airport is the main airport servicing international flights that travel to Ecuador. Driving: In Ecuador, you must drive on the right side of the road. International Driver’s License Accepted? All foreign drivers must carry an international driver’s license in Ecuador. Crime: In 2011, Ecuador earned its reputation as one of the most dangerous places in Latin America. In 2013, the issue about crime and residential security remains a pressing problem that international communities have rated it as “critical”. For the past year, the Ecuadorian police and law enforcement agencies have doubled their efforts to curtail the rate of crime in the country. Electrical Adapters: The standard electrical voltage used in Ecuador is 120 volts and 60 Hertz. Trivia: There are lots of volcanoes in Ecuador. In fact, the country has the highest density level for volcanoes in the world. The varying altitude and the corresponding agricultural conditions hold a significant impact on Ecuadorian cuisine. In the mountainous region, meat such as pork, beef, and chicken are very popular. Meanwhile, the lower altitude regions feature a lot of fresh fruits in their cooking. A typical Ecuadorian meal consists of rice, soup and two dishes. Banana is one product produced at large in Ecuador and they not only like to enjoy banana as a fruit, but is also used in a lot of dishes as an ingredient. Both coffee and dessert are customary in an Ecuadorian meal. 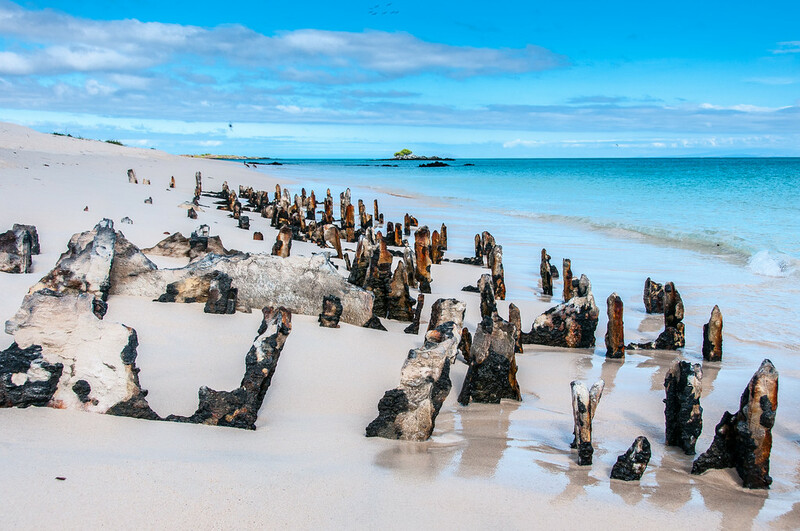 Galapagos Islands – This UNESCO World Heritage Site is a volcanic archipelago and a province of Ecuador. The island is located 1,000 km off the coast of Ecuador. It is a popular destination for tourists in terms of wildlife viewing. The isolated terrain shelters enable both plant and animal species to thrive in a natural habitat. Tortuga Bay – This small beach is located in the island of Santa Cruz in Ecuador. To get to the bay, you must cover a 20-minute walking trail along a rock and boardwalk. The boardwalk itself is surrounded by various flora including matasarno, cacti and palo santo trees. Cotopaxi National Park – This is a protected natural reserve area in Ecuador. It is located within the Cotopaxi Province and was first established in 1975. 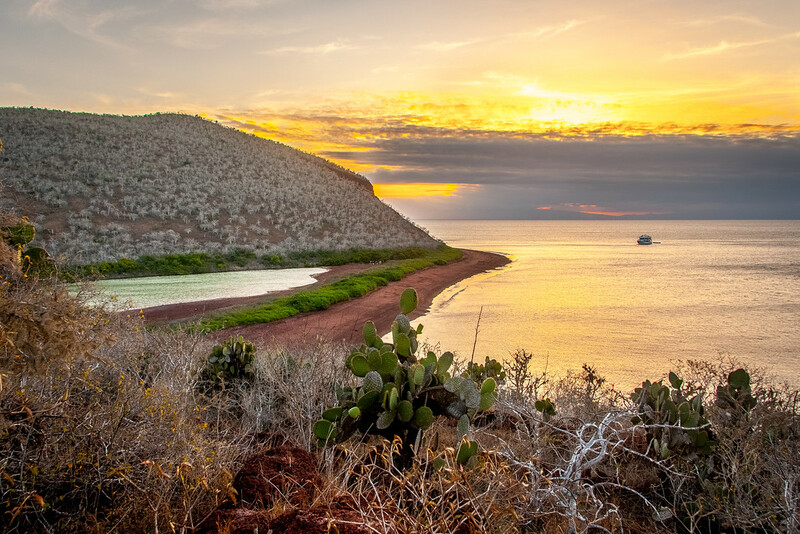 It is the largest protected area in the country with a diverse array of flora species. Cajas National Park – This national park is located in the highlands region of Ecuador. It is an important national park because of its sprawling biodiversity featuring over 250 lakes and a variety of flora and fauna species. El Panecillo – This 200-meter high hill is formed out of volcanic origin. 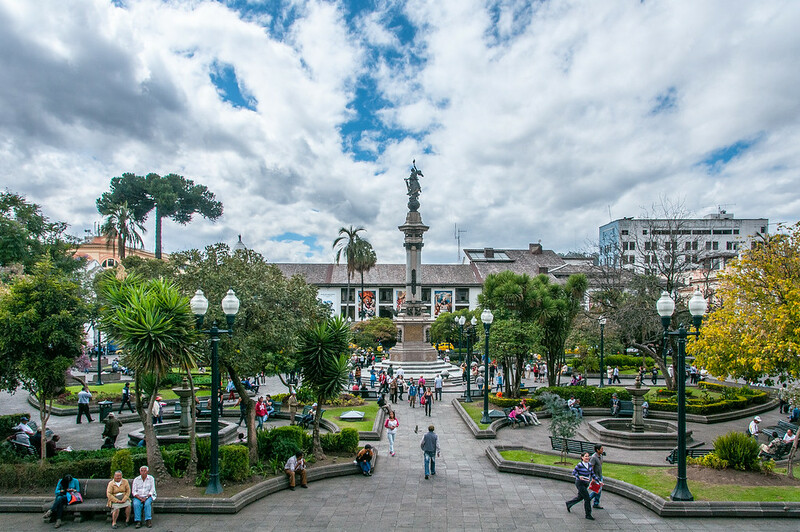 With an elevation of over 3,000 meters above sea level, it is topped by one of “>Quito’s most notable statue – the statue of La Virgen de Quito.